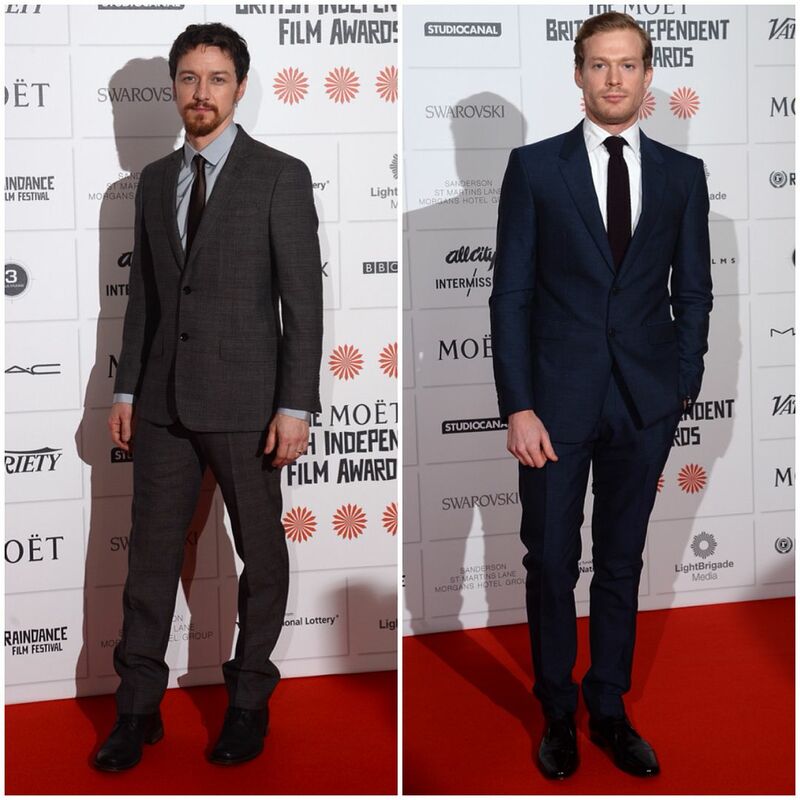 James McAvoy and Sam Reid attended the British Independent Film Awards in London on 8th December 2013. James, who won 'Best Actor' for his role in 'Filth', wore Burberry tailoring for the event. He wore a dark grey suit, over a dove grey shirt with matching silk tie. The first thing I noticed was, the beard/moustache do not match his hair. Is that what they meant by the curtains not matching the carpet? Australian actor Sam Reid also wore Burberry tailoring for the event. He wore a navy suit over a white shirt and matching silk tie. Though James won 'Best Actor', Sam definitely won the style stakes. Gorgeous side swept hair, a commanding presence and nice slim trousers. A little bit of shirt cuffs would be nice, but this man can sell me a suit anyday.